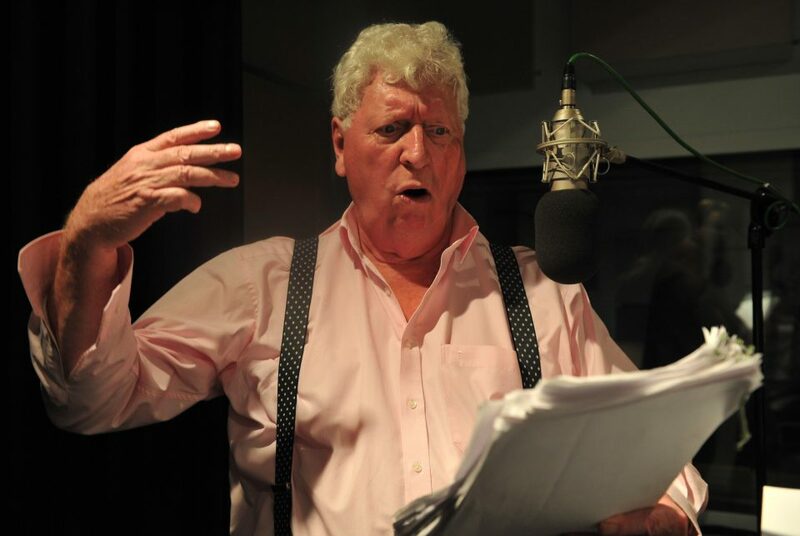 We caught Shada at the cinemas late last year and we loved it. 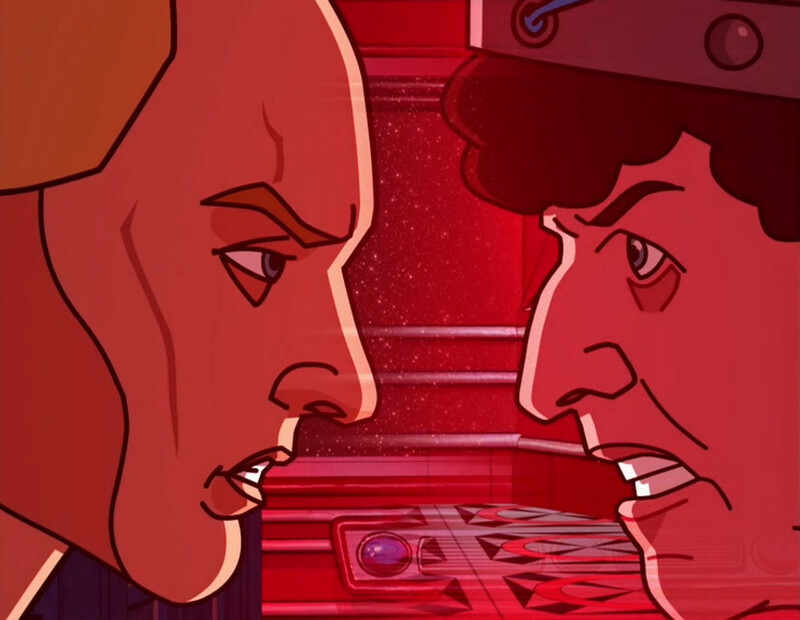 The Shada DVD and Shada Blu-ray are available from the DWCA Shop now, so we thought we would take a look at what makes the new version of the Douglas Adams classic so great. The animated scenes give context to the original studio material, finally allowing the story to live and breathe as a complete television story – just as it was originally intended. If you have already seen the 1992 VHS version that bridged the missing scenes with Tom Baker’s narration (now available as an extra on the Blu-ray release), you’ll find that the 2017 version is smoother, more immersive and altogether more fun. 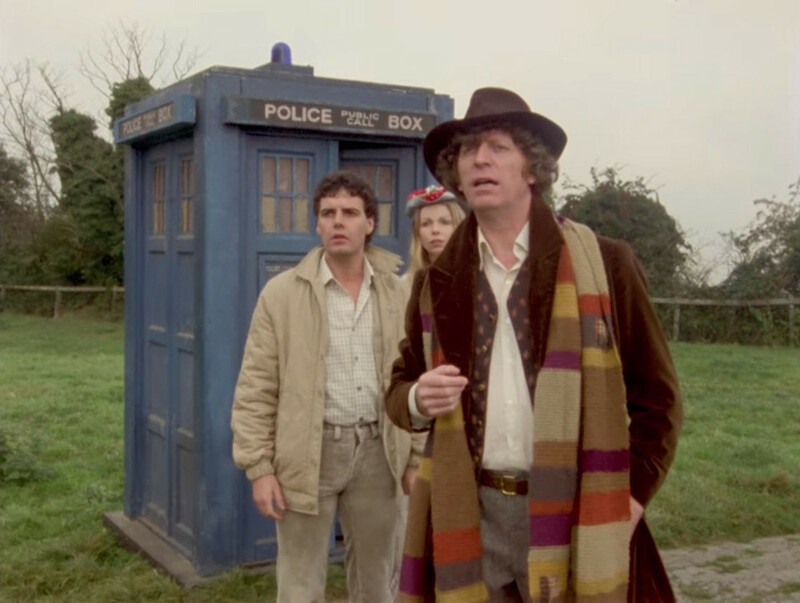 The scenes shot in Cambridge all look gorgeous, popping with colour and texture and a level of detail never seen before – in one early shot you can even make out a distant Pepsi truck in a very rare example of Doctor Who including a real world product logo! The marvellous restoration carried out on the location film makes the Blu-ray edition the best possible viewing experience. Watching raw studio footage cut together can be a dull affair – it’s the soundscape that really sells a story. The new score by seasoned Doctor Who composer and audio guru Mark Ayres not only gives the right emotional cues to the audience and breathes life into some of the stagier scenes, but is also a loving tribute to the scores of the late ‘70s period of Doctor Who. It is a bittersweet tribute, with the recent passing of classic composer Dudley Simpson who provided the majority of the music at this period in the programme’s history. Appropriately, the end credits of the new edition include a dedication to him. Even the sound effects, the unsung hero of any soundscape, are lovingly crafted to fit the period to the extent that it is hard to tell whether the effects are sourced from a ‘70s sound effects library or are new creations in a classic style. Sticking to the usual practice of ‘70s Doctor Who, spaceship sequences were realised using model miniatures for the new edition, covering shots of the Think Tank facility and Skagra’s ship as well as the Doctor’s and Chronotis’ TARDISes in flight. With Doctor Who effects veteran Mike Tucker and his team on board, it is no surprise that the new model shots are impressive whilst also in keeping with the classic style – not only are the new models based on designs from the original effects designer in 1979 but there’s also a model scene that so effectively recaptures that authentic feeling that it is not too dissimilar from one of the shots from Shada’s Season 17 stablemate The Horns of Nimon! 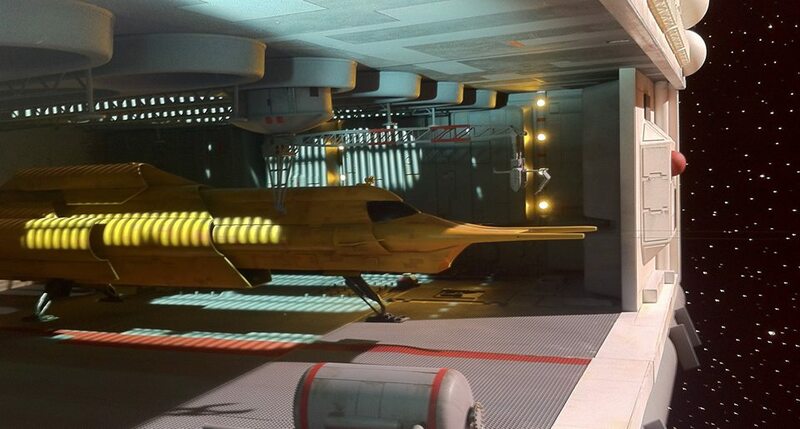 The team behind the new Shada has tucked away a few hidden treats for the fans to spot. 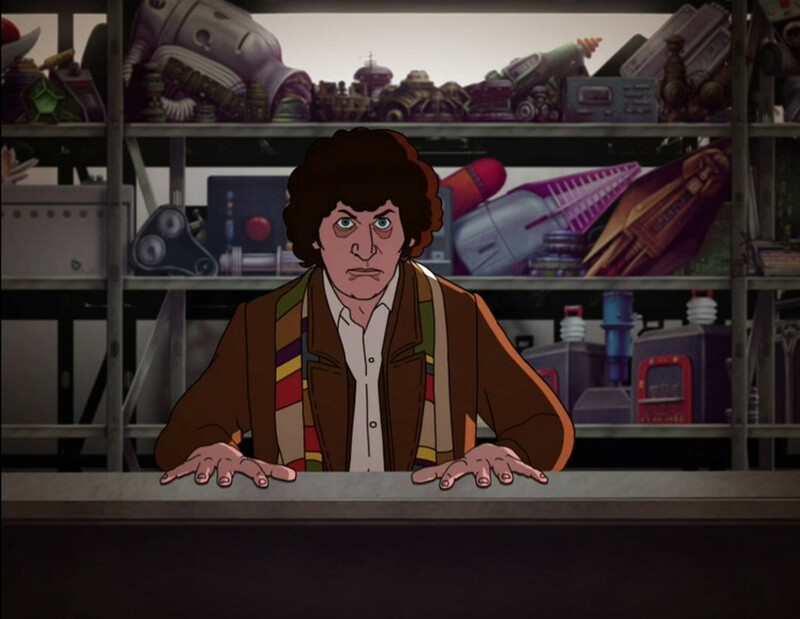 There’s an animated sequence fairly early on that includes footage from some other Doctor Who episodes, and there’s also the ‘set’ used for the TARDIS workshop scenes featuring a host of old ‘props’, including a Movellan gun, a Dalek bomb (both from Destiny of the Daleks), the Polyphase Avitron (from Douglas Adams’ own The Pirate Planet), and a gadget going all the way back to The Time Monster, among other things! Hats off to all the cast and the director for getting the new vocal performances just right. 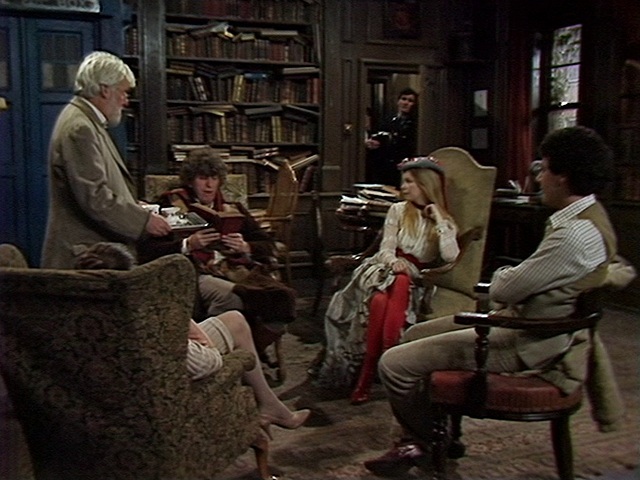 Everyone locks straight back into how they were back in 1979: Chris is still likably befuddled, Romana is still assured yet warm and the Doctor exudes charm, wit and intelligence. The new production team even managed to work some indefinable magic and fill in some holes within the cast caused by the sad passing of Denis Carey (Professor Chronotis) and David Brierly (K-9) a number of years ago. 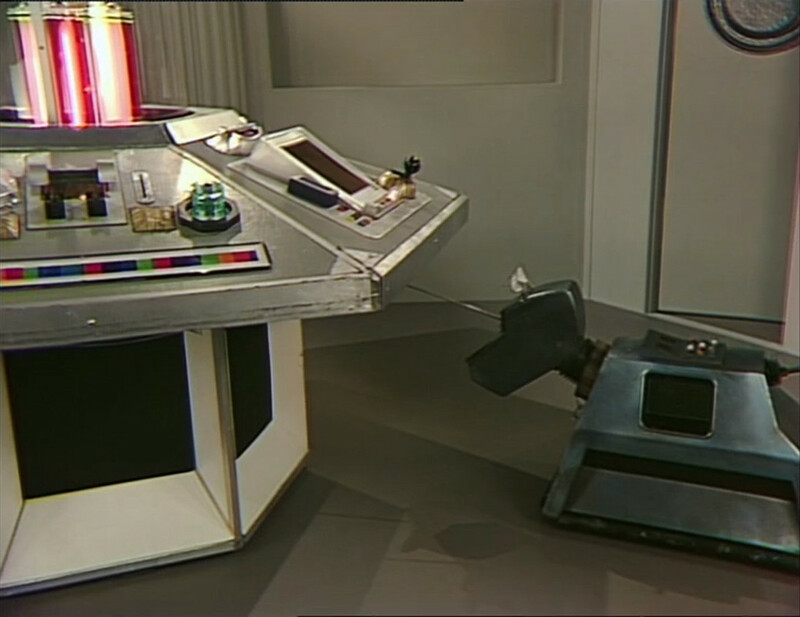 Spoiler alert: one of the biggest surprises in the new version of Shada is that it contains a small but crucial amount of new live action material, including a number of shots that use the K-9 prop. The team sourced a studio camera from the period so the new shots slot in seamlessly. If you’ve seen it already, you know the one I’m talking about. 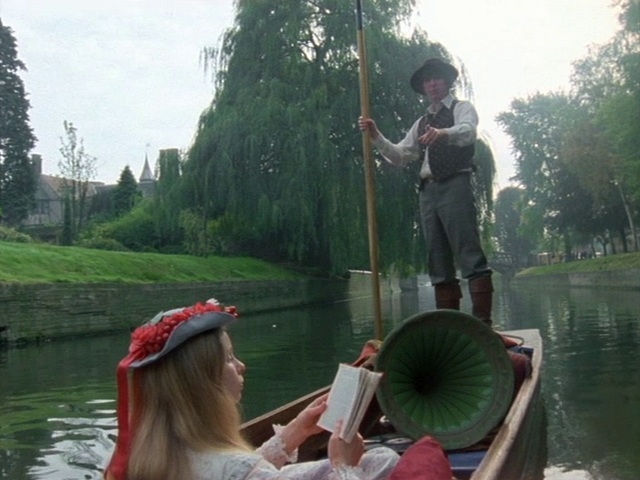 Of course, the main things that we love about the new Shada are the same things that made the old Shada great: the delicious humour, the mad ideas, the ludicrous chase sequence that involves a male acapella group and the cast having a whale of a time together. All the new stuff just complements the original ingredients to produce a story that sings. 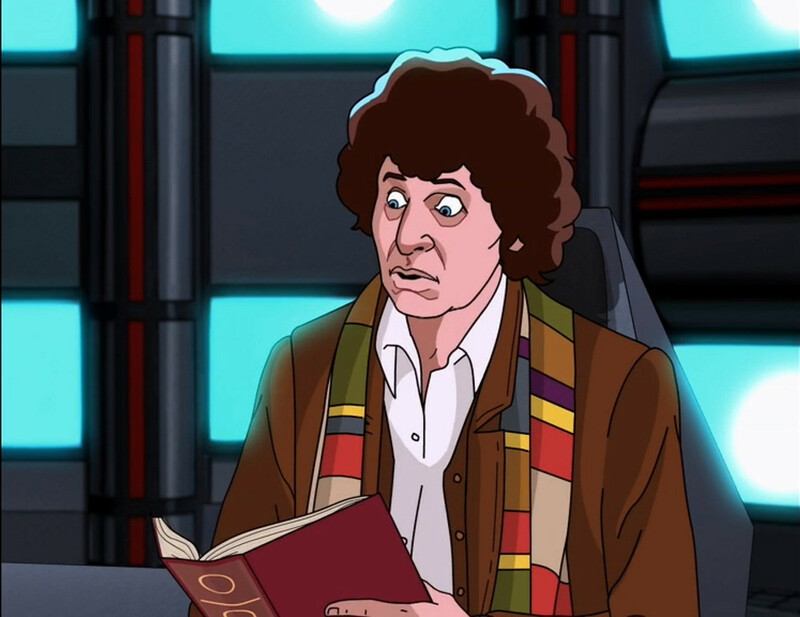 This is the definitive edition of Shada. Want to grab a copy of Shada? You can pick up a special release packed with extras on DVD and Blu-ray from the DWCA Shop now. Don’t forget to check out our full range of classic and new series DVDs and Blu-rays here.